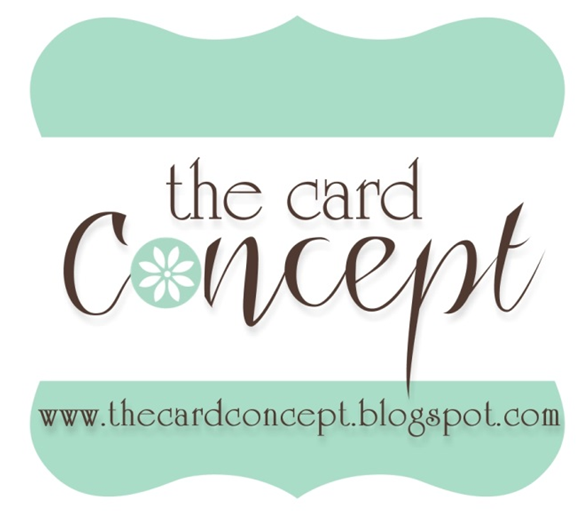 I've posted two very simple cards today, but what you haven't seen yet are my cards for my Guest Designer spot on Tuesday Morning Sketches. Be sure to check back on Tuesday for their new challenge and my debut. 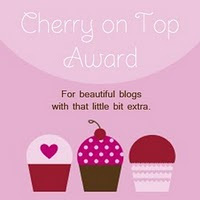 It's going to be a fun month because we've got 5 weeks this month, so I get an extra week of fame. It can't get much easier when the piece of designer paper looks almost like the sketch and is all you have to do is stamp the Happy Birthday sentiment. 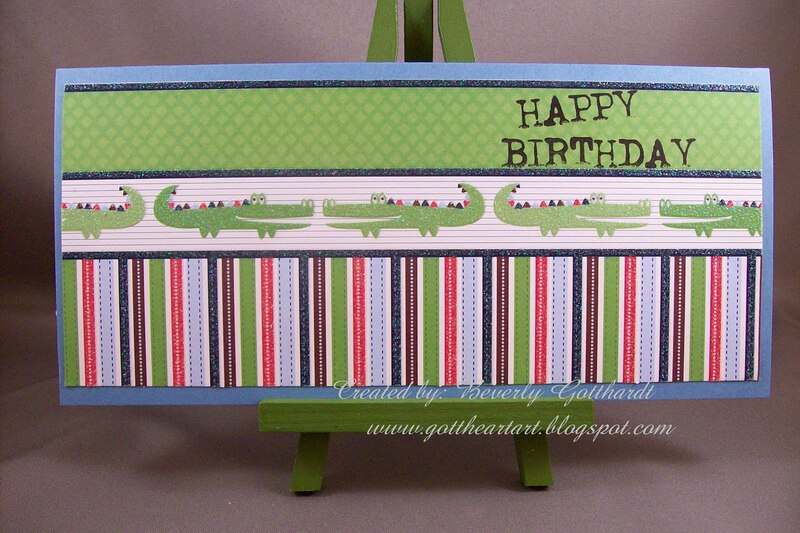 My grandson loves alligators so this will be perfect for his birthday card. 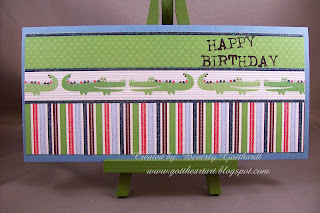 Supplies: 3 3/4" X 8" Card Blank, Papers: Stampin Up-Baja Breeze, DCWV-Safari Kids Stack, Stamp: CTMH-C1257 Happy Birthday, Ink: Ranger Archival Ink-Jet Black.